5 stars - "Epson Stylus SX430W All-in-one InkJet Printer with CISS" by Fairfax	, Written on 2013, 13:56/02/15 It scans fine, prints fine and continuous ink supply system actually saves money in addition. CISS has been delivered already filled with ink, and I have printed with it more than a thousand prints, and there is still much ink. Did not expect such results. Well done guys! Now only your products are my favorites. 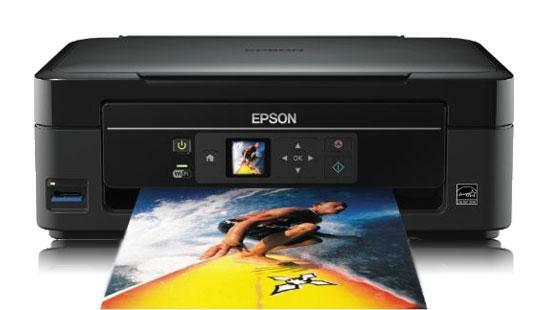 Buy Printer Epson Stylus SX430W with CISS and make 30 times more quality prints for the same money! The sale of Epson printers completely satisfies many clients' wish to have a device with the majority of additional functions at home. One of such devices is Epson Stylus SX430W MFD. The device is exceedingly compact and is equipped with Wi-Fi module. It prints qualitatively and quickly. If you want to learn about the devices of other lines then we recommend Epson Stylus SX235W to you. The main merit of makers who designed the printing device Epson Stylus SX430W is its compactness. Its sizes are by 40% less than the sizes of previous models. This multifunction device for home and office use does not have any problems with practicality; the coating of plastic is mostly matt. Surely, great popularity of the device is provided by its Wi-Fi module. Besides, the device is equipped with USB-slot. One more way of connection with a computer or a laptop is a card reader. Besides, this Epson Stylus SX430W may print directly from Android and iOS. LC-display's diagonal is 3,6 sm. The control board is push-button. A tray for mediums has sufficient capacity of 100 sheets. The maximum printing resolution is 5760x1440 dpi. By the way, the same resolution is traditional for almost all printers and MFD of Epson production. The speed of black-and-white office print is 32 pages/min and of color one is 15 sheets. The print of 10x15 photo will take your 54 seconds. The scanning resolution of 1200?2400 dpi will be completely enough for qualitative scanning. 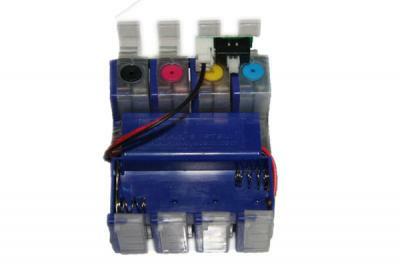 The main disadvantage of MFD Epson SX430W is high price of original cartridges. But INKSYSTEM Company can help you to solve this problem easily. Owing to CIS systems from this company you may reduce your expenses on printing by 20-30 times. В«What is the source of this economy?В», you will ask. First of all, CISS consists of the following main parts: ink reservoirs-donors, a loop line and cartridges identical to original supplies. 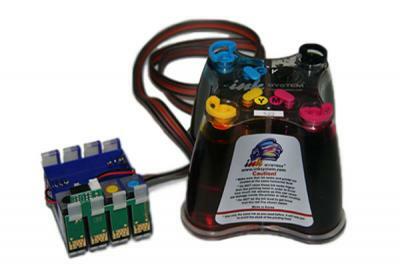 Color printer prints by means of ink which comes to cartridges through a loop line. It means that CISS does not change the original construction of your MFD. 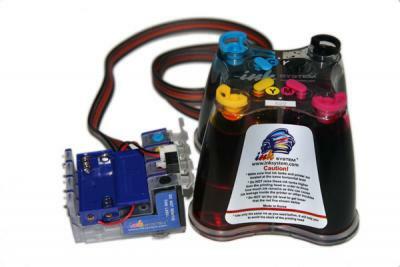 The profit is in the following: you do not need to substitute cartridges all the time you just fill reservoirs with ink. To order MFD immediately with CISS is very profitable! Thus, a compact and stylish MFD Stylus SX430W may boast of its proper quality of both office and photographical print. It scans also qualitatively. Besides, the manufacturer endued it with impressive functional and in combination with a moderate price it can not but please you. It will not take much time to find the competitors of this MFD. Indeed, in the family of SX В«fourhundredthВ» prices and facilities of all devices are practically equal that is why they need to coexist in the conditions of very hard competition. Everything is vice versa with the competitors from HP: democratic prices combine mostly with more modest filling. The price for Epson printer of the given model at our place is lower than in others! It scans fine, prints fine and continuous ink supply system actually saves money in addition. CISS has been delivered already filled with ink, and I have printed with it more than a thousand prints, and there is still much ink. Did not expect such results. Well done guys! Now only your products are my favorites.